Rubber Mulch & Recycled Tire Playground Mulch - Minnesota | Rubber Safe Playgrounds Inc.
Rubber mulch from Rubber Safe Playgrounds can meet a variety of needs, including homeowners in search of mulch for their home, equestrian centers looking for a reliable surface and daycare centers and schools in need of a distinct playground surface. Our mulch will not only add a touch of splendor to your property; it also offers countless benefits that plant based mulches do not. For starters, rubber mulch can be advantageous to homeowners because it can insulate soil from heat and does not absorb water, making it an ideal solution for landscaping and gardening needs. Additionally, rubber mulch can be a perfect option for equestrian centers, as it is a great footing surface when mixed with sand. Lastly, rubber mulch is the preeminent option for playground surfaces, thanks to the fact it provides extra cushion for children, requires minimal maintenance and is a long-term solution for schools and daycare centers. Please contact us if you would like to learn more about our products and services. 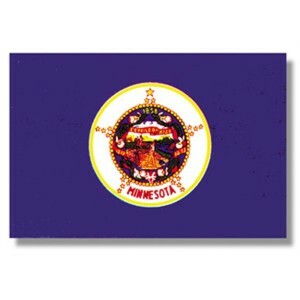 We primarily service the Midwest, including clients in Minnesota!